Are you stalking your mail carrier??? The mailbox – another love of genealogists! 1) My grandmother’s social security application. 2) The Milo Story, a book about Milo (of course!) in Piscataquis County, Maine, by Lloyd J. Treworgy. 3) Documents from new-found cousin, including photos and a copy of a chart drawn in the late 1800s showing relationships to a common ancestor. 4) Notification of approval of my Daughters of the American Revolution application. 5) Notification of approval of my Mayflower Society application. 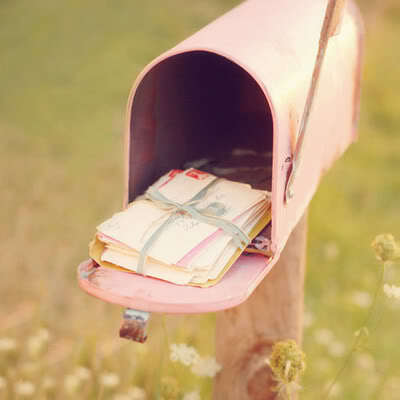 What are you hoping to find in YOUR mailbox today? This entry was posted on Saturday, February 22nd, 2014 at 1:36 PM	and posted in Uncategorized. You can follow any responses to this entry through the RSS 2.0 feed.